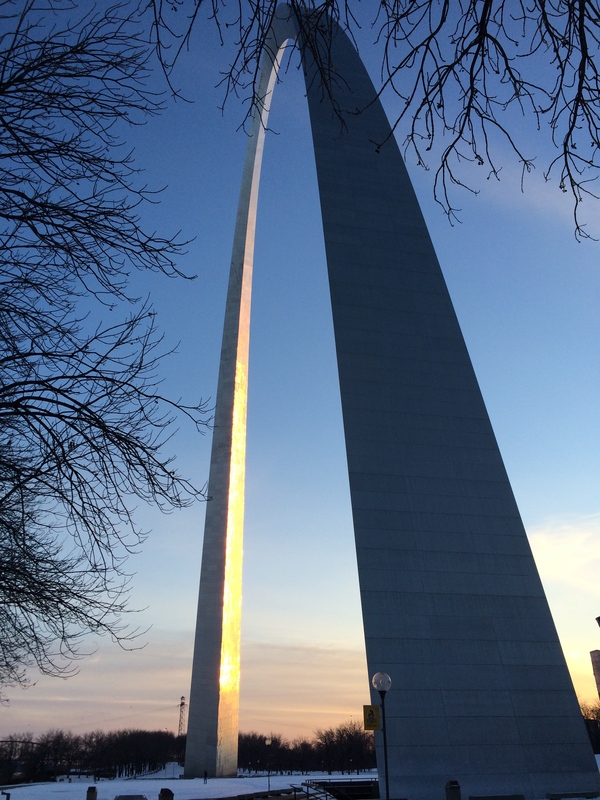 Tonight, I’m wrapping up a very busy and successful week in St. Louis at the Midwest Education Technology Conference. (#METC14) It’s a huge event, with multiple presentation streams, a huge tradeshow floor, and thousands of attendees. I travelled all the way from Vancouver, BC Canada to deliver my presentation on social media, and also to learn from fellow educators on many of the topics that concern us as connected teachers. Technology moves at a faster and faster rate, and in the world of education, we are seeing the effects first hand. Our students have a world at their fingertips – literally, and teachers are rising to the challenge of how best to deliver a thoughtful and inspiring education to a new generation of learners. If there was an overarching theme to the event it was that technology should not be used for technology’s sake. Sure, we like the glamour of new devices, we like having fun with new apps and web 2.0 tools, but in the end, one presenter after another talked about how to focus on the learning, not the technology. Just like a chalk and slate, technology is the tool for learning, not the learning itself. And how we empower and inspire our students to create with it is the basis of education. In my session, I talked about how to make social media part of a strategy that inspires students to construct knowledge through social connections. Whether its a 140 character Twitter post, or a longer blog post, we can use the right social media tool as a springboard for different depths of learning. In the end, it doesn’t matter whether we prefer Twitter, Today’sMeet, or Padlet, as long as the function serves the purpose. In the program I work for, our students have iPads, but while the initial challenge was in getting the iPads into the hands of the students, the bigger challenge now lies in developing new and innovative teaching strategies that leverage the abilities of the device. Obviously, just giving the students a tablet isn’t going to suddenly improve their learning. In fact, it’s going to take the faculty some time to continually improve and modify their lessons to take advantage of the new mobile environment. A strong epistemological approach will always trump the ‘next cool app’. Finally, the key takeaway as we all go home from a conference such as this is to get started. It’s easy to come away from an event energized, excited, and full of great intentions. Then we get back into our classrooms where there are already not enough hours in the day, and we let it languish. It’s time to act. Deliberately drop something from a lesson plan in order to replace it with something new. There really is no better time than right now. Make changes in your class this spring, try out some new ideas, get some confidence in doing something different. You may not have complete success, but you will then have the time you need to refine it for the fall. Set up a class Twitter account, and get the parents following it. Start a remind101 account to text information to your class. Create a class Diigo account, and get students started collecting web links and annotating interesting information in a shared web collection. Open a Padlet wall for each class, and ask students to contribute, or to post to it as homework. There are so many options, all it needs is a bit of a spark, and the courage to get started. I invite you to connect with me on twitter @kenjeffery so that we can share information. We all have the same goals and challenges; there is a fantastic benefit in building a socially connected community of educators.